Here are some gorgeous Mother’s Day gift ideas for mums who love the outdoors and buying ethical, organic products that make you feel good both inside and out. From fabulous fashions to indulgent ideas – it is all here in our Natural Mums gift guide. 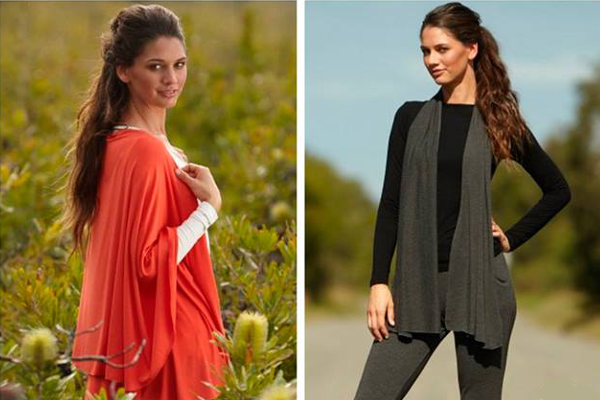 As our favourite show often tells us, winter is coming, and few things will keep mums warmer than soft bamboo clothing. Bodypeace make elegant clothing from this sustainable resource to suit all body types. Their shawls look so cosy for the colder months, but they also have light and breezy dresses (see top image) for those lucky enough to live where the sun is always shining. Can’t afford to send mum on a Tahitian holiday? Never mind. Give her the next best thing – an organic body bar ($20) made from real Tahitian vanilla, organic cocoa butter from Ghana and organic coconut oil from Samoa. 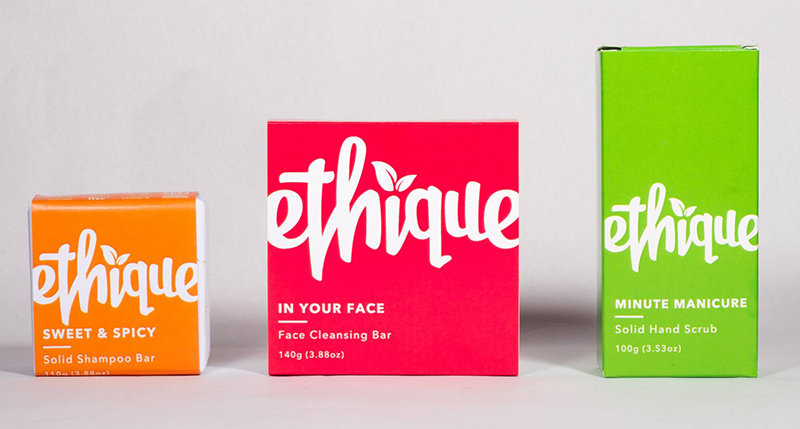 She’ll be transported to a tropical paradise every time she rubs one of these beauty bars from Ethique on her skin. The New Zealand company also makes face cleansers, hand scrubs and a myriad of other organic beauty products that all smell like paradise. 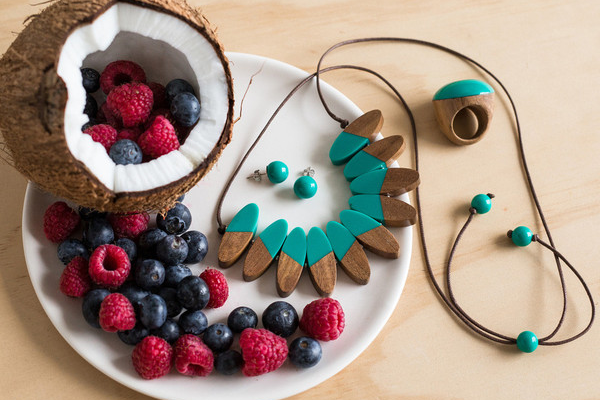 Any mum that likes to make a stylish statement will love the beautiful range of wooden jewellery from Ruby Olive. My absolute fave are these paint-dipped designs that are really on-trend. The pictured set of matching necklace, earrings, and ring in South Pacific Frangipani style are just $91, plus shipping. Take a look at this gorgeous bag that fits everything a mum-on-the-go needs. Now take another look because that super luxe bag is made from 100 per cent recycled bottles! The Green Label range of bags from Lassig are both elegant and ethical. They come in a range of designs and colours all priced at $250. Simply stunning. Mums-to-be will love a gift of soothing Mama Body teas full of organic ingredients that help relieve the discomforts of pregnancy. They have a Morning Wellness Tea to fight off nausea and a Raspberry Leaf blend to help for labour. If you cannot decide which to pick, one of their gift packs starting at $45 makes a very thoughtful Mother’s Day present. While we are on the topic of tea, the divine tea-for-one sets ($65) from T2 are worth a mention. I received one of these for my very first Mother’s Day and it did wonders for keeping me in a supply of hot tea while I was off the coffee and breastfeeding. Plus there is a deeply regal feeling to pouring tea from a pot – a feeling every mum deserves. 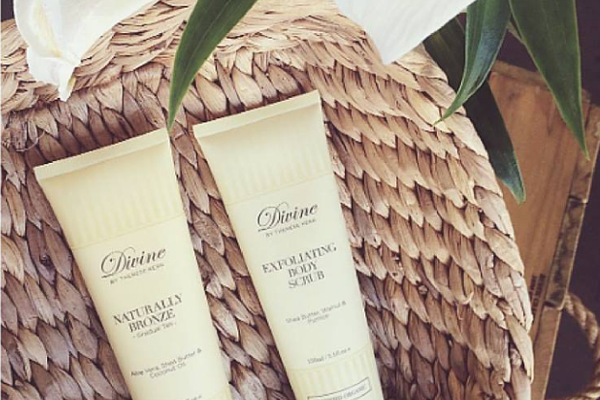 If you’re looking for a pamper pack that is all organic then the Divine by Therese Kerr is where you want to be. Their Divine Mother’s Glow pack ($100) includes an exfoliating body scrub, moisturising lotion and natural bronzer – all ACO certified organic. Now that’s an indulgent pamper pack that will have your favourite mum glowing inside and out. Living jewellery is taking off in a big way and no one does it better than Australia’s own Fleurieu Gifts. 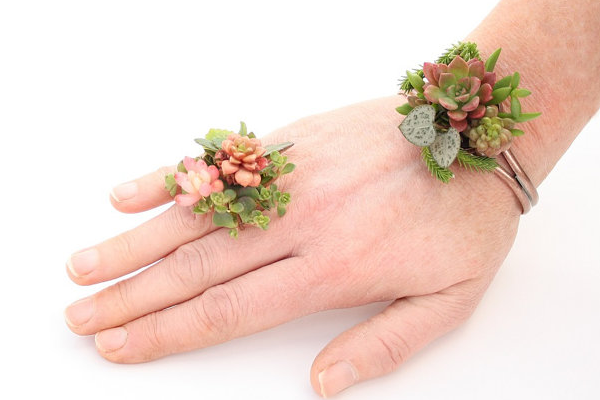 These amazing pieces feature succulent plants that can be worn for up to three weeks before being planted in the garden. A gift to make mum look gorgeous, wow her friends, and then keep her smiling everyday as it grows. Prices start at $26, plus shipping. Beautiful, soft, simple and modern – this chic nursing nightgown ($90) from Sorella Organics is perfect for expecting or breastfeeding mums this Mother’s Day. Made from organic cotton, its pleated style makes room for a growing bump but also hangs stylishly once baby is born. Some days the only thing keeping a mum together is a hot cup of coffee – or tea – on-the-go. 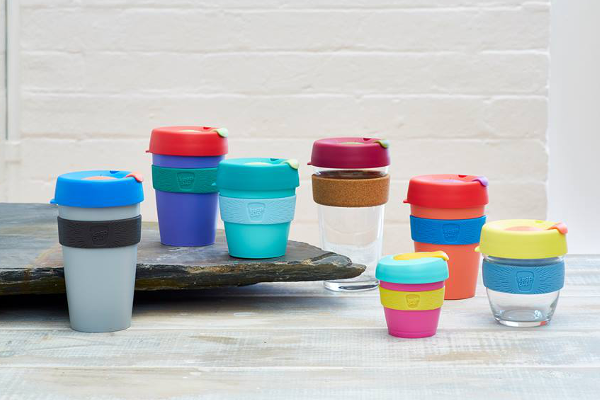 KeepCup make rad reusable coffee cups that will have both mum and the planet thanking you. With a range of designs, colours, and custom options you can create a cup that is uniquely stylish as your favourite mum. Prices start at just $11, plus shipping. That raps it up for our Natural Mums gift guide. Make sure you keep checking back for more great Mother’s Day gift ideas.